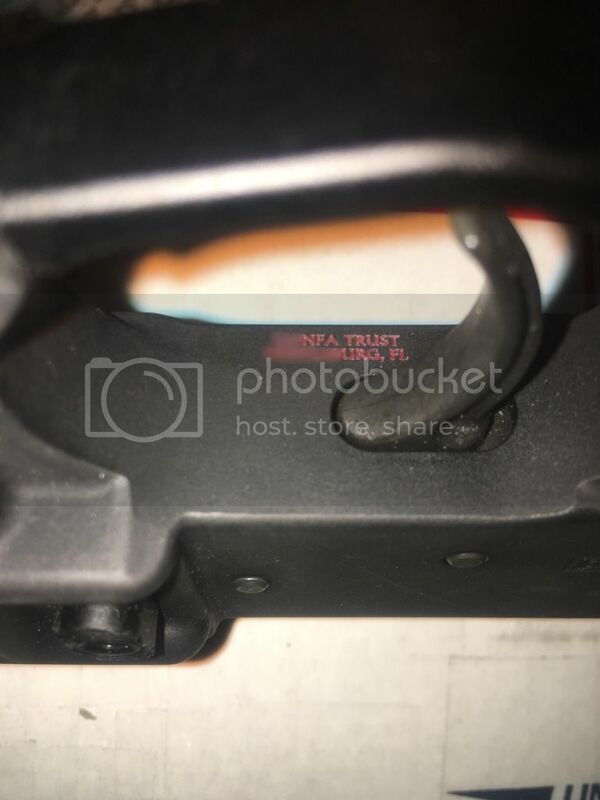 Any recommendations for engraving a lower in Central FL? Those who know, prepare. Those who don't know, argue that they do. A's hire A's. B's hire C's and D's. +2 for Chuck, he just did my titanium F1 can. Looks great and quick turn around, and the package was as close to USPS proof as possible. Another vote for CS223 Charles. I've used CS223 and would happily recommend him. I've also heard good things about Rampart and if they do it they would be more convenient to the Orlando area. Picked up my M92 from Rampart today. They seem to outsource it to someone, but the turnaround was quick (2 days). He charged me $75 which isn't great, but the work is clean and I didn't want to deal with shipping it. I've used CS223 and Tar Heel and both are great and awesome pricing. Mike @ Rampart Gunworks and Charles aka CS223 are both great to deal with. I can give a +1 to Rampart. Just had some work done and am happy with it. They were flexible with their hours too which helped a lot. I've had Charles (CS223) for my and a few friends engraving and it's always top notch work. Gun Gallery 4 Life: "Selling Guns, Changing People's Lives"
If someone has his contact info please PM or email it to me. I too need a some done. +1 for both Charles (CS223) and Mike (Rampart). I've used both, and they both do great work. Charles is far less expensive, but there's also something to be said for the convenience of not having to mail something off, especially if it's something that isn't easily replaced like an AR lower is.